As an international graduate worker on Stony Brook campus, I support the Stony Brook Graduate Student Employees Union’s (GSEU) campaign to abolish graduate fees. — they’re also workers. 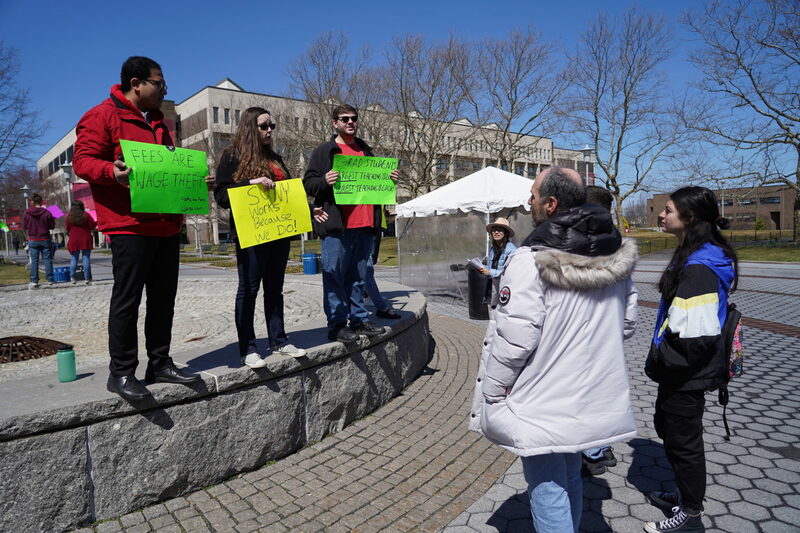 They teach courses, grade assignments and conduct research on the university’s behalf and we should have a say in the decisions that affect their work at Stony Brook. The SUNY system has created fees as a way to raise tuition without the consent of democratically-elected legislators in Albany. It’s a staple of the last few years at Stony Brook, used as a means to cover budget holes and other fiscal “whoops” the school encounters. Interestingly, a recent independent audit at SBU showed the university has lots of money, but despite that, the graduate student fees continue to rise. This year, our fees will increase by about $100. Even worse than the fees themselves is the fact that we have no idea what they go toward. There is a lack of transparency about the fees because SBU does not provide an itemized accounting of where exactly the funds wind up. Fees are an extra drain on the peanut-sized stipends, a mere $20,000 to $30,000 depending on the department, which PhD students receive for the overwhelming amount of work they do for the university. They’re an unnecessary extraction that helps force students many to live below the poverty line. PhD students end up paying almost half of their stipends for fees, and the demand for higher fees by the university administration this year will only add to the already exploitative nature of this relationship. It’s time that the university recognizes that it depends on the labor of graduate student workers and starts treating them like an important part of the workforce. While fees affect all graduate workers in disastrous ways, it hits international graduate workers the most. Full-time tuition for domestic master’s students is $6,503.50, and is about two times more, $12,283.50, for international master’s students. While domestic graduate students have the option of taking up outside jobs to sustain themselves, international students are not allowed to do so legally. International graduate students maintain their legal status as students with visas that prohibits them from working outside the campus. They can only work outside the campus on either an Optional Practical Training or H-1B visa issued by the United States Citizenship and Immigration Services (USCIS), which changes their legal visa status to workers. With small stipends in hand and a demand for higher fees, most international graduate students on campus find themselves in a precarious situation economically. They end up asking their family and friends back home for money to be able to survive. Further, lack of access to other resources like fellowships or federal grants also compromises the rights of international students. Most federal grants and fellowships are available to U.S. citizens only and international workers end up with absolutely no means to support themselves or their research. The GSEU at Stony Brook University has been at the forefront for mobilizing the rights of all graduate workers, including the concerns and struggles of international graduate workers. Workplace rights of all graduate workers need to be respected and the active union on campus gives me hope. I feel supported in the power of collective bargaining and a binding contract. By aiming to politically mobilize against fees on Stony Brook campus, the union has set out to realize the dream of a democratic campus.